Discerning travelers who appreciate something different will find this cottage as a dream come to life. The name Reunhaw Kaew means a cottage built for a newly wedded couple. True to it is name this is a perfect honeymoon cottage. 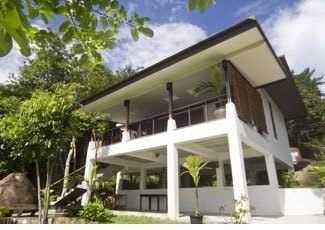 It is also ideal for any individual or couple who want to get away from busy tourist towns but like the convenience of easy access to the local village. 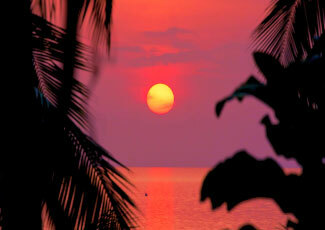 Enjoy great west facing sunsets over the islands of Ang Thong Marine Park. View monsoon rains blowing across the horizon, local fishing boats and occasional kite surfers skim the shallow emerald waters. 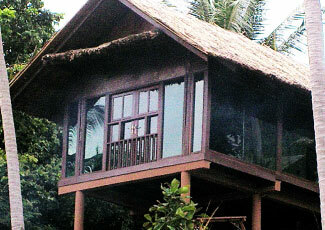 A's Glass Cottage features glass walls, antique wooden floors and authentic thatch roof. Views from three sides look onto our quiet beach. Walk down the grassy path through the flower garden to sunbathe undisturbed on our beach. Luxuries include the most comfortable king size bed money can buy. In room entertainment with a 42 inch plasma television equipped with full satellite programming, DVD player and surround sound system. A full size desk for writing or working while on holday and free WIFI high speed internet access in the room and restaurant. Located only 3 kilometers from Thongsala town. Easy walking or a two minute ride to the town center. Explore our island from this hideaway or stay hidden in this romantic cottage. Walk the unspoilt coast line on Nai Wok bay. Sun bathe undisturbed on our quiet beach or try the night life in Haad Rin famous for all night beach side dancing. Our cozy restaurant is ready to cook Thai favorites or custom orders for our guests. The bar serves anything from cocktails and Italian wine to ice cream shakes and fresh fruit drinks. Amenities - Air con, hot water, free mineral water and soft drinks in room refrigerator, writer desk, plasma TV , DVD player with stereo speakers. 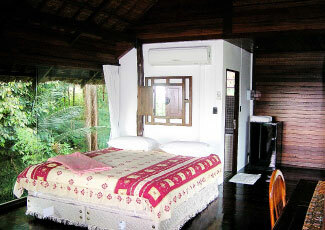 Room suitable for individual travelers, writers, couples, honeymooners. Children not recommended. Parking available - Welcome VISA and Mastercard. A's Green Palm Beach Cottage is a ocean view mini- villa. Comfortable and stylish it is designed as self-catering. Green Palm feels secluded and intimate but close to civilization. Plenty of privacy and close to the beach. Its set back from the beach road just enough to have convenience and easy beach access. 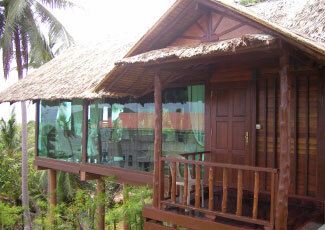 Bed room and balcony offer stunning sea views looking over the off- shore "Tae Nok" Swallow Nest island. West facing for romantic sunsets. 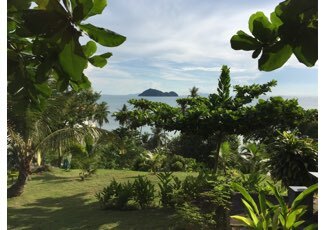 Walk across the road and down our grassy garden path to be on our own little stretch of “Wok Thum” beach. 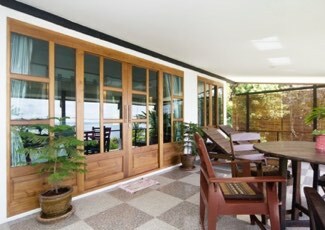 A big shaded terrace joins the bedroom with solid wood and glass sliding doors. Custom made Coconut wood writers desk, wardrobe and tables all made with wood cut from our own garden. Plenty of shelf space too. Private parking in front of the cottage. Enough for mountain bikes, motorbikes or a car. 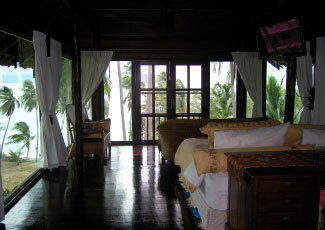 Centrally located on the beach road, guests can catch a share taxi most times of the day just in front of the cottage. Walk to the village of Thongsala with its lively night market. Its only 2.5 kilometers away. 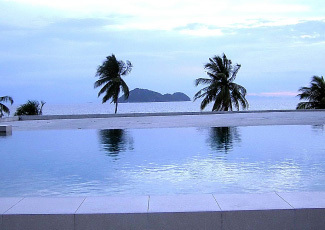 Popular beaches of Haad Rin or Thong Nai Paan can be visited by taxi from Thongsala. Ideal for independent minded guests who want the best value for money. 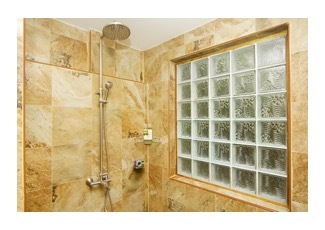 Luxurious shower facilities and our botanical soaps give guests here our personal touch. Rest assured that a great night's sleep is offered every night with the our world famous ultra comfortable bed ! Pui's Place Restaurant is just across the road. Enjoy delicious Thai specialities, healthy red rice dishes, cocktails and cold drinks. Fantastic for sunsets too.